Historic restorations are admired by most people but old houses are not for everyone. It takes a special person to appreciate and understand the workmanship of an old house. 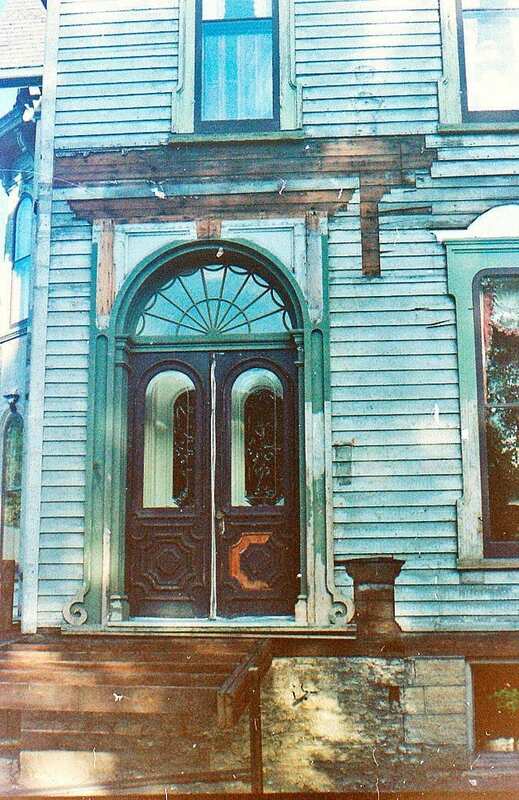 It takes someone even more special to rescue a neglected home and restore it to its former glory. If you’re reading this, you are that special person. You found a historic home and spent hours researching how to restore it correctly. You removed modern additions, stripped the paint off all the woodwork, and spent a good part of your life putting your soul into your house. Finally the restoration is complete and you can enjoy the fruits of your labor. You are a hero in the long history of your house. Sadly you go to the store one day and get run over by a bus. A few years later your spouse passes and your son inherits the house. A few years after that a career move forces him to sell the house. This house was meticulously restored. The above house before restoration. A tremendous amount of research and planning must be done before restoration. The happy new owner – a fan of “This Old House” is excited to do what he/she thinks is right for the historic house. 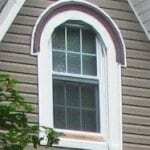 Arched windows are replaced with new rectangular “energy efficient” plastic replacements. The varnished woodwork is painted because the realtor said it will be better for resale. Porch maintenance makes it easier to just remove the porch. The interior is altered for an open floor plan. All your hard work down the drain! So sad! Life is full of surprises beyond our control. What can you do? You can come back from the grave and haunt the family but the harm is still done! The house survived over 100 years until someone with a big budget got some good renovating ideas from “This Old House”. See this dreadfully sad photo article about a similar situation in the following link. By now – especially after watching the previous slide show, you’re probably feeling pretty bummed out. YOU can prevent this from happening. 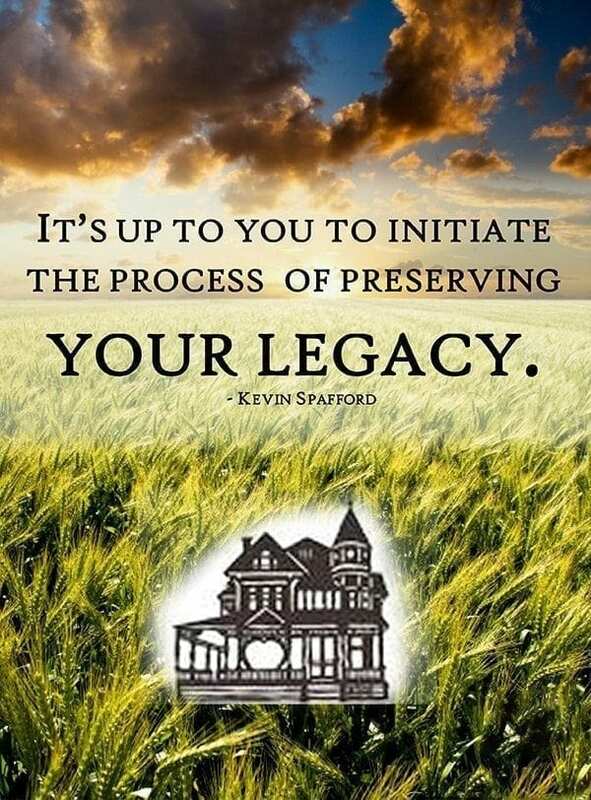 There is hope for your house with a Preservation Easement. Historic preservation easements are legal documents that ensure the perpetual preservation of a property by restricting activities that might diminish the integrity of the historic character defining features of a property. The preservation easement places SPECIFIC conditions on maintenance and treatment of the property . Your house does not have to be something that George Washington slept in, just a house you would like to see the historic character defining features and appearance preserved. Each character defining feature you want to preserve must be identified and listed in the preservation easement document. Number and description of windows, porches and porch elements, wood siding, and exterior finishes, interior features such as non painted woodwork, antique kitchen sinks, even the land and landscape features that comprise the setting of the building. The character defining features that you worked so hard to protect will be protected when you are gone and/or the building is sold. Anyone can record a preservation easement in perpetuity on any property by going to a lawyer. Each time the house ownership is conveyed to another owner, the easement is attached to the deed. The problem here is how will the easement be enforced? Who will know that your claw foot tub has been replaced unless the new buyer raises a question? The answer is that there must be an easement holder. The easement must convey the right to enforce the stipulated conditions and restrictions to the holder of the easement. The holder of the easement must be a qualified preservation organization or government agency involved with preservation. There may be local organizations and possibly historic societies that can be holders of the easement. 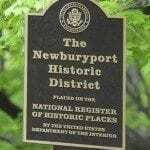 One large organization is the National Trust for Historic Preservation. The National Trust goes into more detail about Preservation Easements on their site. 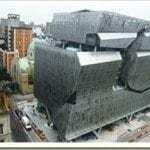 One stipulation is that the property must be listed on the National Register of Historic Places (NRHP). 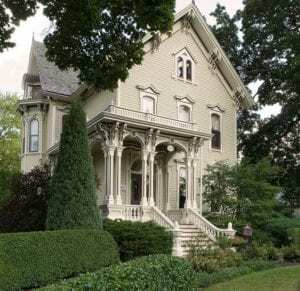 If your home is not on the NRHP, or does not qualify to be listed on the NRHP, there may be another easement holding organization with less strict criteria. All this comes with a cost of about several thousand dollars. Understand that yearly visits must be made to ensure all future homeowners are abiding by your easement requirements. A preservation easement is similar to the Farmland Preservation Easement. I know all of this is complicated and requires many details you must understand and consider. However this is the best way to protect all your wonderful preservation efforts for future generations to appreciate. Great article. So very important for historic structures. I am definitely working this into my 5 year preservation and inheritance plan. So, so sad! It’s a swan turned into an ugly duckling. 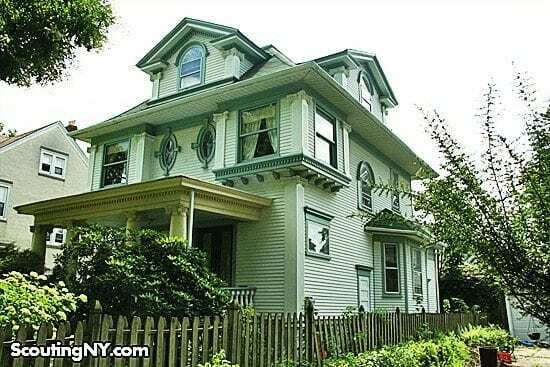 Have you seen this beautiful 1908 home? Real estate video and link below. It was on the market last year, but I don’t think it sold. 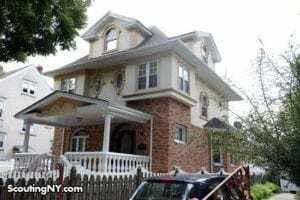 It looks all original except for the carriage house and some of the kitchen? Hopefully it is still intact.